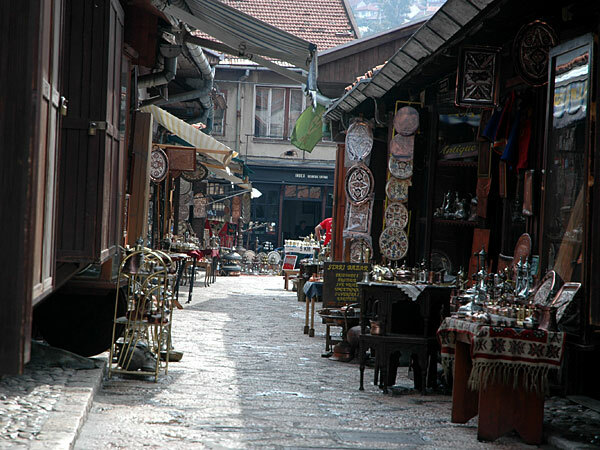 Today we walked around in the center of Sarajevo which as an obvious oriental heritance, lot of mosques and a big Turkish bazaar. Also in Sarajevo the wounds of the war are highly visible, even if they were even more visible in Mostar. 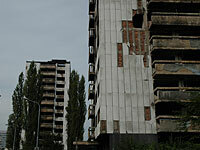 Driving along ”Sniper´s Alley” towards the center we could see blocks of flats that had been badly hit and abandoned. ”Sniper´s Alley” was a well known street during the siege. 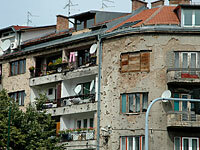 The Serbs snipers on the hills were shooting at civilians crossing the street. The Holiday In along ”Sniper´s Alley” was the place of residence for all international journalists. The part of the hotel facing ”Sniper´s Alley” was completely ruined after the war and has now been restored. 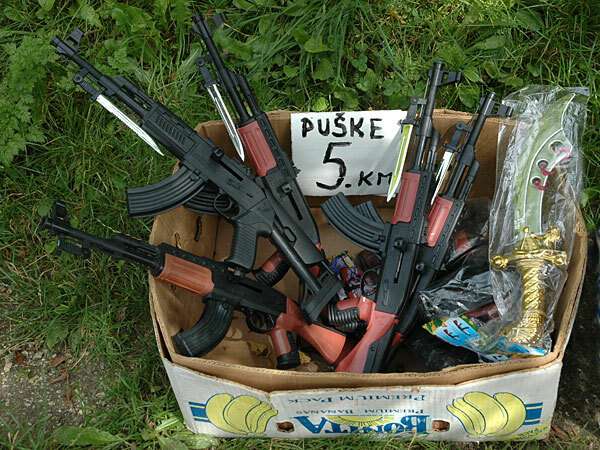 It felt a bit strange to discover that they are in fact selling war toys to children. We thought that a country that has been in a war ten years ago, would have had enough of that. 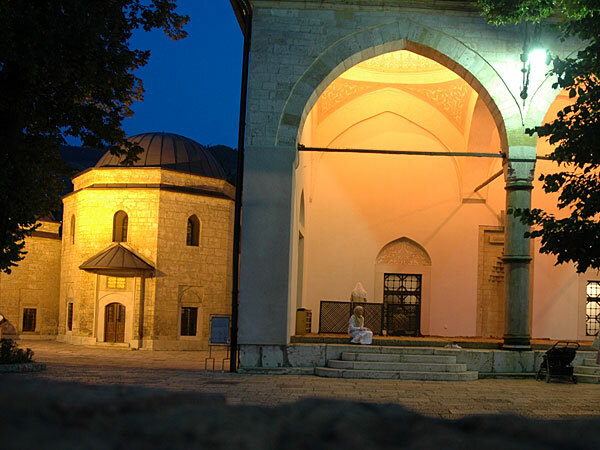 Later in the day we left Sarajevo and headed for Split in Croatia again, a trip of 300 kilometers though Bosnia-Herzegovina. 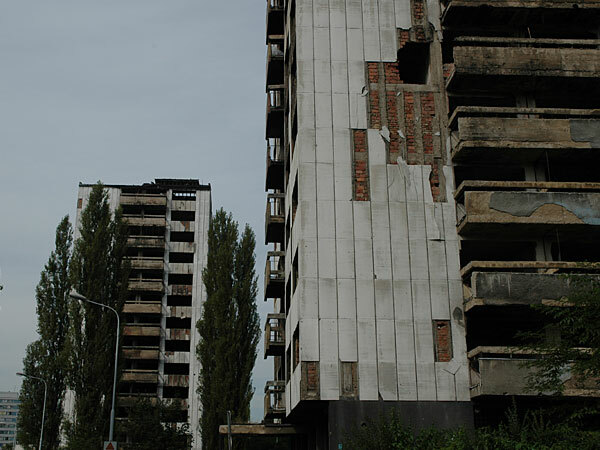 We noticed that also in the countryside like in the middle of nowhere there were plenty of destroyed and abounded houses , and a lot of bullet holes in the walls. Something that stuck us leaving Bosnia-Herzegovina was that we had not seen any soldiers, military vehicles or military camps as in Kosovo. 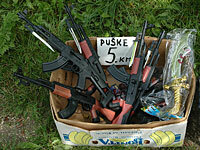 The only thing we had seen was a few EUFOR jeeps.